Don’t include Internet music, video, or graphics in your video unless you understand the copyright. Yes, this is a pain, but companies take copyright very seriously and regularly file both takedown notices and lawsuits against offenders. Numerous laws like the Digital Media Copyright Act (DMCA) discuss in great detail the “ins and outs” of using web–based media. Nearly all the material on the Web is covered by intellectual property laws. If you produce content in your personal time, you automatically own the rights to it. If you produce content at work, your agency likely owns it. Videos, blog posts, and music (especially music videos) are all examples of works automatically protected by copyright (and probably trademark law). They don’t need to say “copyright” or have a “©” mark next to it, either–once it’s created, it’s copyrighted. People must choose to actively relinquish their copyright for you to use their work, and the vast majority of people don’t do this or don’t know how. When in doubt, consult your agency’s Office of General Counsel. Any form of recorded or documented work created by a federal employee, as part of that person’s official duties is, according to Section 105 of the Copyright Act, a United States Government Work (USGW). This means the videos created during your work day are the property of the federal government and have no copyright restrictions within the United States. They are only free from copyright protection within the U.S.—many agencies can and do assert copyright protection overseas. The copyright for websites viewed in either New York or in Paris may be different in each location. The employee who creates a USGW cannot claim intellectual property rights on the work. Similarly, you can’t create a video using pieces of other people’s work and call it your own. Works prepared for the U.S. government by independent contractors as a “work for hire” belong to the government. The contractor may not obtain or retain any copyright from these created materials if the agency chooses to assert that they are “works for hire” and the federal contract clearly states as such. In other words, ensure your contracting officer includes the correct clauses if your agency wishes to obtain copyright via contract. Logos—You can’t use U.S. government trademarks or agency seals without permission. Federal agencies can and do have registered trademarks that they enforce and prevent others from using without permission.For example, if you are a GSA employee, you shouldn’t use the Starmark, GSA’s registered trademark, without permission from the Office of Communication and Marketing. Vendors don’t have permission to use the Starmark. Works by other governments—If you work for a state, local or foreign government, your individual works may be protected by copyright. Endorsements—You can’t use a USGW in a way that implies endorsement by a federal government agency, official, or employee. For example, you cannot use a photo of a government official wearing your product in an advertisement. Release forms for individuals—If you need to film someone and show their likeness in your government video, you may need to use a video release form (MS Word, 24.5 KB, 1 page, April 2012). This protects you and the government from lawsuits or takedown requests. Contact the owner and have them send you permission, by letter or email, to use your work. You can find the owner by looking for credits and contacting the webmaster or owner of the page; or, if it’s a social media video, through their social media account. You can use our video release form (MS Word, 24.5 KB, 1 page, April 2012) for web content as well. 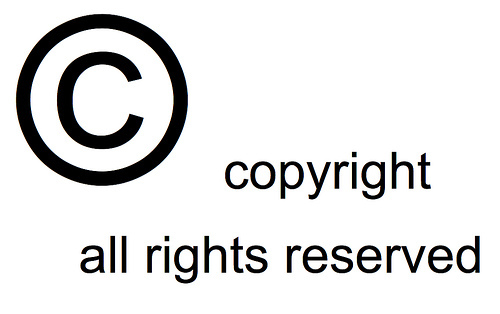 Find work labeled public domain (generally freely usable in the country it was created). Check if the author has included a Creative Commons or another attribution license indicating the item is free to use. A variety of websites collect large groups of these images, which you can find examples of in our next section, finding legal footage and music. IMPORTANT: Licenses are complex, and not all Creative Commons, or other attribution licenses, are created equal. This means that a certain type of “CC” or other attribution logo might let you use an image or video, but you will need to give attribution or credit, usually in the credits or in the description. Another popular type of license, the Attribution No Derivatives license, will allow you to use a work, but prevent you from altering or cropping anything. To ensure you don’t mistakenly use protected intellectual property from other websites, check with the sources who created that original material.